Soudal NV is Europe’s leading independent manufacturer of sealants, PU-Foams and adhesives. The company, established in 1966 by its chairman, Mr. Vic Swerts, proudly remains family owned and independent from large multinational corporations. 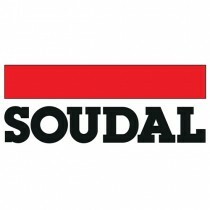 Soudal is a strong brand all over the world. It serves professionals in construction, retail channels and industrial assembly and has nearly 50 years of experience with end-users in over 120 countries worldwide. With 14 manufacturing sites on 4 continents and 44 subsidiaries worldwide, Soudal ensures optimal technical and logistical support.